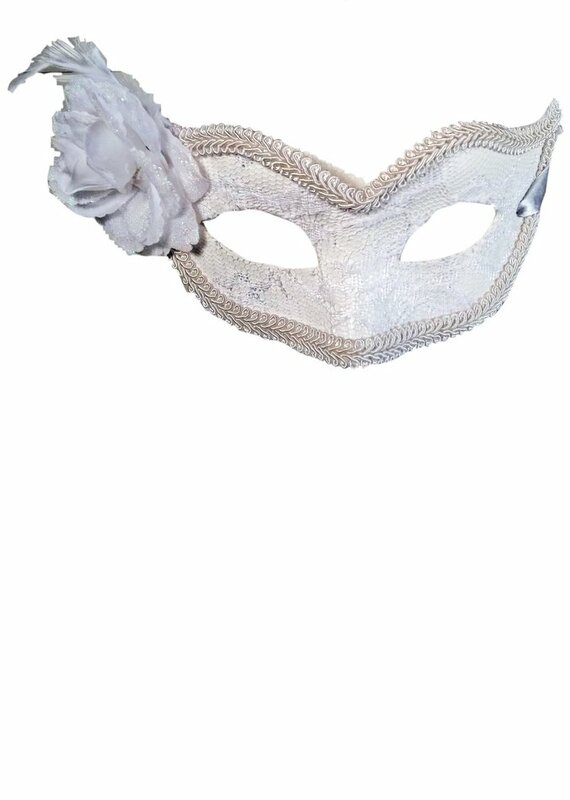 Curvy white lace Venetian style mask with white braid trim and white faux flower. Ties behind the head with satin ribbons. One size adult. 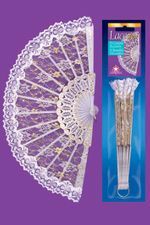 Great for your Mardi Gras, masquerade, or Like a Virgin costume! By Jacobson. See more options in our Mardi Gras and Costume Masks section!